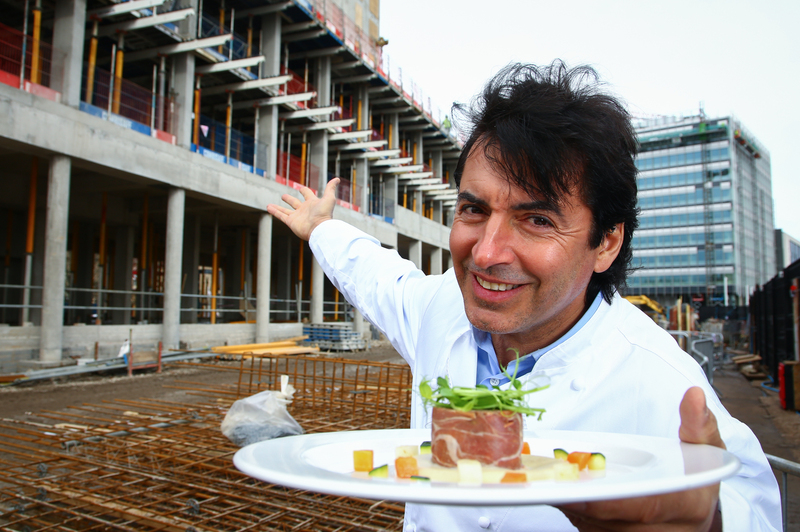 RPP Architects were among guests yesterday enjoying a taste of things to come at a lunch in the Belfast Harbour Commissioner’s office to promote celebrity chef, Jean Christophe Novelli’s new venture, ‘Jean-Christophe Novelli at City Quays’. The multi-Michelin-starred chef will open a 104-seat restaurant, overlooking Belfast’s waterfront as part of the new four-star AC Hotel by Marriott, scheduled to open early in 2018. As Architect for City Quays 3, which includes the new AC Hotel by Marriott, the latest stage in Belfast Harbour’s waterside renewal, RPP Architects is delighted to continue our work with Belfast Harbour and the exciting regeneration of Belfast’s historic maritime waterfront.